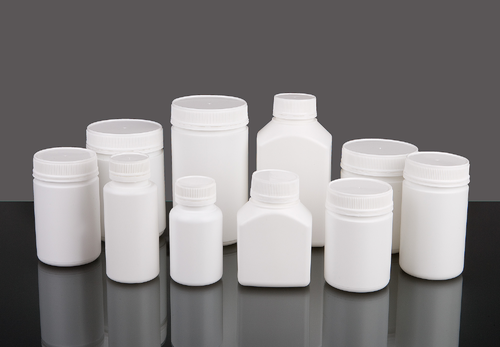 We are engaged in manufacturing of HDPE Pharma Bottle. Bans Aerosol Pvt. Ltd. established in the year 1983 is one of the leaders in manufacturing, exporting and supplying of silicone & allied products, anti-friction preparations, industrial maintenance aerosol products, perfumed and consumable aerosol products. Our wide range consists of Silicon & Silicon free Spray, Anti Spatter Spray, Mould & Die Protector, Mould & Die Cleaner,Anti Rust, Grease & Silicon Emulsion, Anti-Corrosion, Corrogard Wax Spray, Metaklin /Metal Degreasing Spray, Electronic Component Cleaner Spray, Electrical Contact Cleaner Spray, Multi Functional Oil Spray, Perfume and Room Freshener, Consumable Aerosol Products, Toiletries & Homecare Products, Aerosol Tin Container, Valves and Caps. Have won acclaim for manufacturing superlative products at affordable rates. Our workforce continuously strives to deliver high quality products, which have been fabricated using quality raw material including tin containers, aerosol valve, plastic cap, chemicals and gases. Apart from this, our organization houses the latest R&D laboratory and commensurate bulk storage facilities for hydrocarbon propellants and ethyl alcohol. Also, our team of experts offers efficient customization facilities including designing, manufacturing and packaging of the range in compliance with the requirements of the clients. We have tie-ups with China based companies and over the years have garnered a distinguished clientele comprising of LG, Maruti, Samsung, Whirlpool, Honda, Wipro, Vi John, VLCC, Kaleva, Emami and Luxor etc. Bans International established in the year 2010 is one of the leaders in manufacturing, exporting and supplying of sprayer amd pump. Our wide range consist of Fine mist, lotion pump, cream pump, trigger sprayer, cream jar, PET and HDPE bottles and cosmetics packaging. Our CEO and mentor, Mr. Girish Bansal is an LLB, MBA having 20 years of expertise in this domain. Under his profound guidance, we have earned ourselves a position of repute by providing a range which meets various global standards.